My kids think anytime I lay down on the ground, it’s time to rough house. Last week, my Mom and Step-father joined us in Kansas for Thanksgiving. 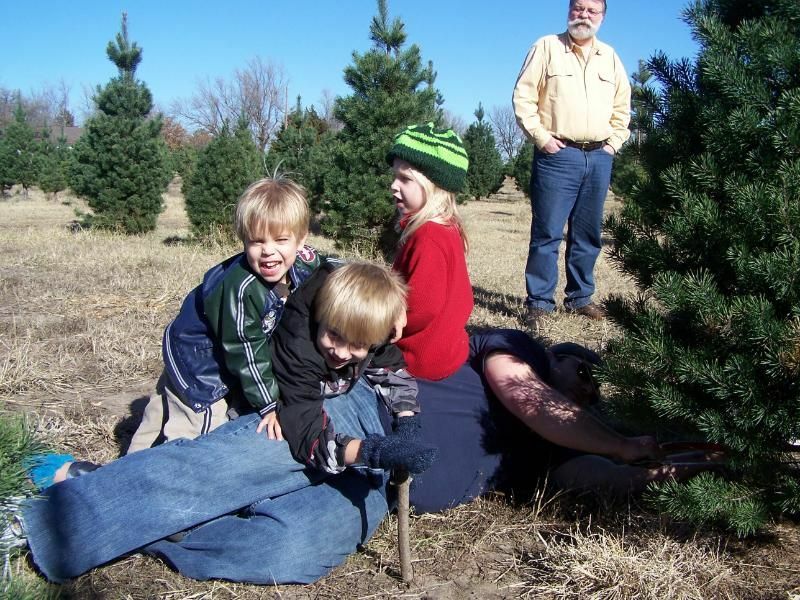 The next day, we all went out to the Christmas tree farm to select our family Christmas tree. This is a tradition that I experienced as a boy growing up, and I can’t even begin to tell you what it means now as a dad. I grew up in a family that treasured family time – each year we cut a live tree (because artificial trees are awful), string it with white lights (because colored lights are of the devil) that don’t blink (because lights shouldn’t crawl like ants or blink like they have a bad fuse), and decorate the tree with ornaments from our (the kids) childhoods. Looking back on this Thanksgiving, one of the things I was (and still am) most thankful for is that my family got to spend time with my family. My kids got to spend time with their Granny-Sue and Papa-Steve. And our house was filled with laughter and love this Thanksgiving. Thanks Mom and Steve. We loved having you guys over. Thanks for making the trip.